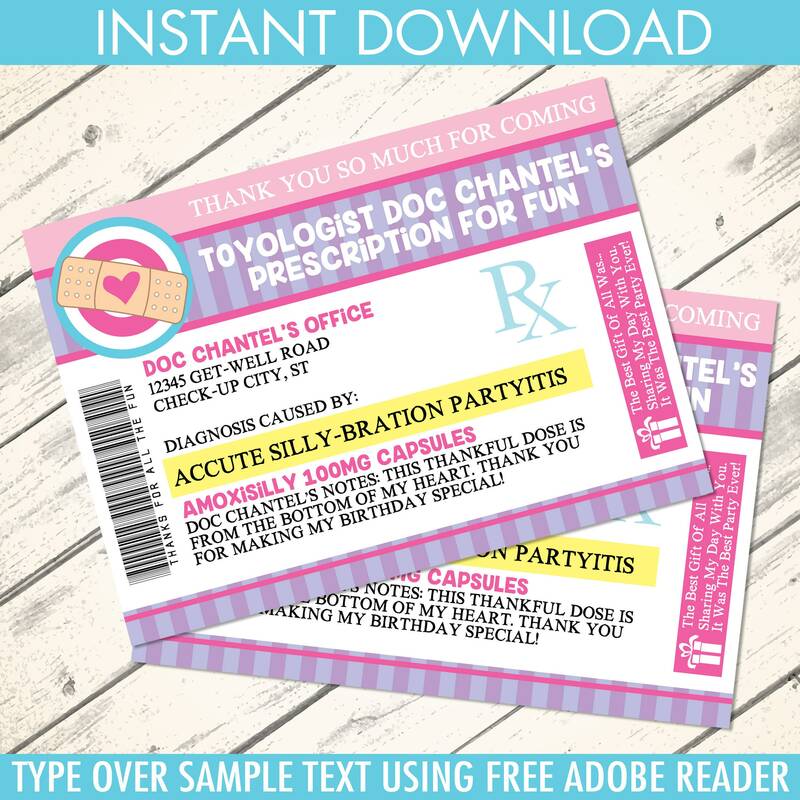 (¸.·´INSTANTLY DOWNLOAD & personalize this printable DOC PRESCRIPTION THANK YOU NOTES with editable text. Then print & create as many times as you like. 2 - PERSONALIZE TEXT... 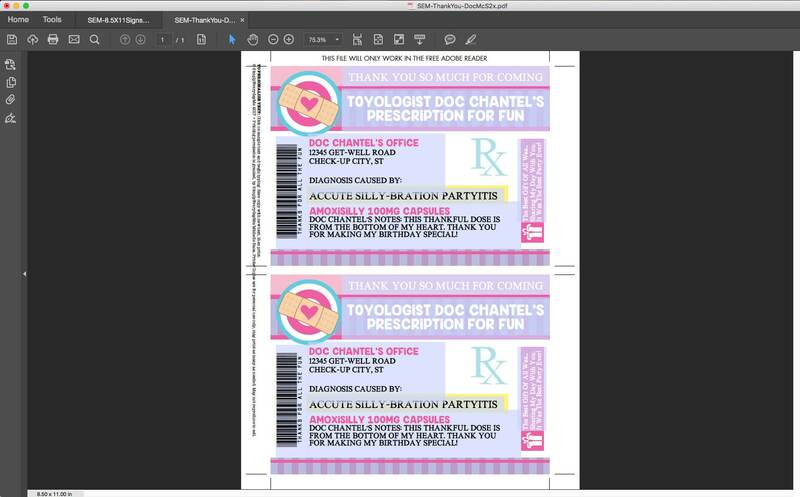 Simply, open PDF using the free Adobe Reader; highlight sample text; type in party information. EDITABLE text will ONLY work when using Adobe Reader on a computer or laptop, and will NOT work on mobile devices or tablets. NOTE: Invitations are NOT formatted for emailing or photo printing.